The City of Fort Lauderdale invites you to celebrate February as Black History Month with these exciting community events. 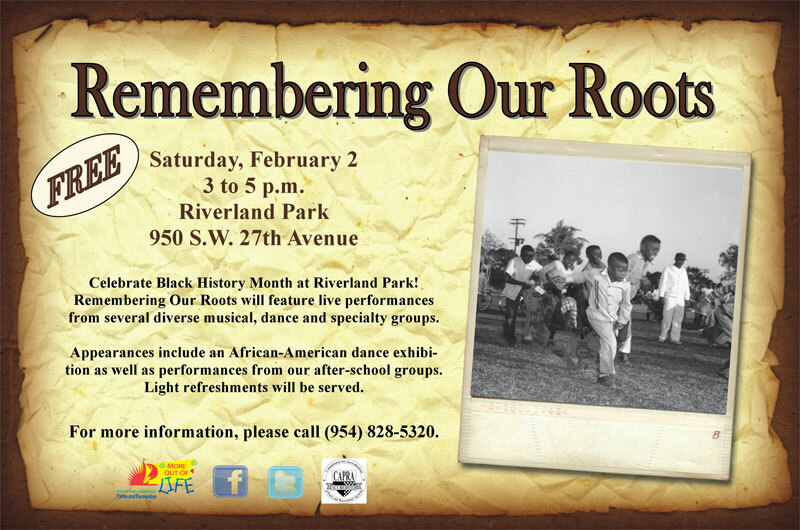 Riverland Park is celebrating Black History Month with Remembering Our Roots on Saturday, February 2 from 3-5 p.m. This free community-based event will feature live performances from several diverse musical, dance and specialty groups. Appearances will include an African-American dance exhibition as well as special performances from our after-school groups. Light refreshments will be served. Riverland Park is located at 950 S.W. 27th Avenue. For more information, please call (954) 828-5320. 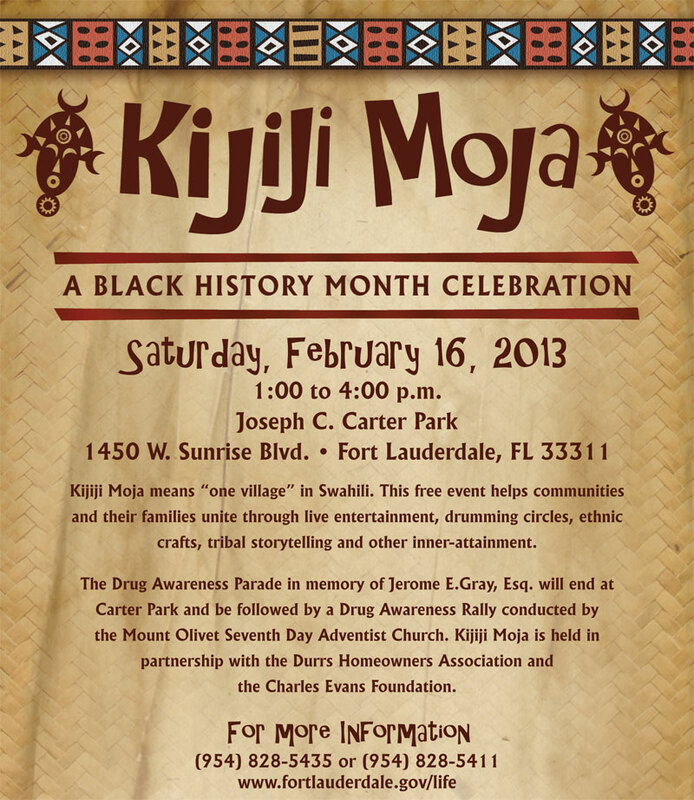 Carter Park is hosting Kijiji Moja, a celebration of Black History Month, on Saturday, February 16 from 1 to 4 p.m. Kijiji Moja is Swahili for “one village.” This free event helps communities unite through live entertainment, drumming circles, ethnic crafts, tribal storytelling and other inner-attainment. Carter Park is located at 1450 W. Sunrise Boulevard. For more information, please call (954) 828-5411.